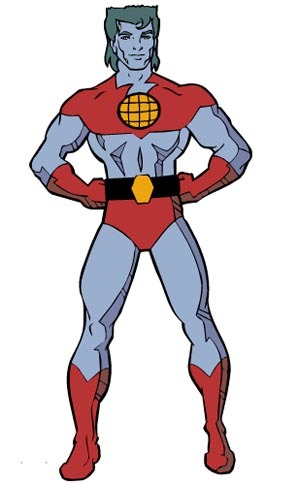 Captain Planet – Live Action Film In Development!!!! I am a huge fan of 80s and 90s cartoons, and Captain Planet, from 1990, has to be one of my favourites (I own every episode ever made! ), and the theme/credits music still remains one of my absolute favourite theme songs (to the point that it is on my iPod and gets listened to regularly in amongst the ‘normal’ songs heh). I also LOVED that Whoopi Goldberg voiced Gaia! Murphy and Angry Filmworks are most notably credited for the highly successful action-adventure franchise, Transformers (2007), Transformers: Revenge of the Fallen (2009) and Transformers: Dark of the Moon (2011). Murphy and Montford together produced the upcoming Hugh Jackman blockbuster Real Steel with Executive Producer Steven Spielberg. The company also is responsible for such action-oriented films as Shoot ‘Em Up (2007), The League of Extraordinary Gentlemen(2003), Apt Pupil (1998) and Natural Born Killers (1994). Angry Filmworks formed n 1998.